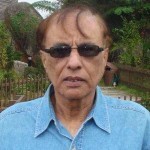 I Think, Therefore I blog: “Corruption is our right”: Have you not looted Sindh enough already, PPP? Really, the scale of corruption in Sindh is mind-boggling. Even before a Swiss court convicted the former president and his wife Benazir Bhutto of money laundering, the leaders of this party have been known to be highly corrupt. It was not for nothing that former President Asif Ali Zardari was known as Mr 10%. So it was highly ironical to see PPP stalwarts such as Aitzaz Ahsan in Parliament demanding accountability of Nawaz Sharif. Either he forgot the rampant corruption in his own party or deliberately chose to ignore it. Mr Ahsan, how can we ever forget your party’s Prime Minister Raja Ashraf’s corruption in the rental power case? And surely you remember that payment of Ayyan Ali’s air ticket was made from the same bank account as that of Bilwal Bhutto Zardari’s? Have you never wondered how an ordinary low-paid Water and Power Development Authority (WAPDA) meter reader (Syed Khurshid Shah) became so wealthy? 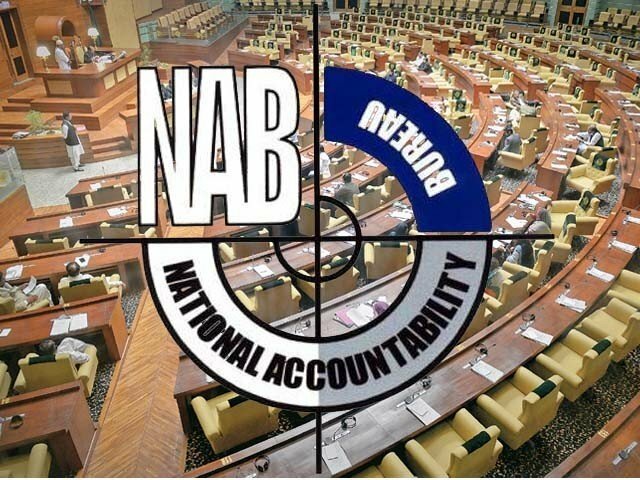 So why should we be surprised that the shameless PPP majority party in the Sindh Assembly passed the bill to repeal the applicability of the National Accountability Ordinance, preventing the National Accountability Bureau (NAB) from taking action against corruption by its ministers? If the recent past is any guide, the Sindh government will probably appoint someone like Superintendent of Police (SP) Fida Hussain Shah (who is himself facing corruption charges) to investigate corruption in the province. And we should not forget the strong resistance put up by the Sindh government towards the appointment of Inspector General of Police (IGP) AD Khawaja. You cannot appoint your party activists as policemen as long as you have an honest officer heading the police department, can you, Mr Murad Ali Shah? Nor can you have ghost teachers in ghost schools if NAB is constantly looking over your shoulder. Really, the scale of corruption in Sindh is mind-boggling. From sale of parks in Karachi to mismanagement of water purification plants in Thar, there is looting and plundering everywhere. Gangsters like Uzair Baloch have been freely used to further the agenda of Sindh’s rulers, while a little known Sindh government employee (Sharjeel Memon) became a billionaire within three years. Even though property prices have shot up numerous times and the common man can no longer afford to buy a house, the Sindh government charges taxes and stamp duties at the old prices (which are only 2% of the actual values). Government employees in the Sindh Building Control Authority (SBCA) and the land department take huge bribes from builders as well. So, by making NAB ineffective in the province, the Sindh government wants to ensure that the loot and plunder of Karachi continues. It doesn’t want to be held accountable for the garbage on the streets of Karachi, nor does it want anyone to prevent the sale of amenity parks at throwaway prices to builders. So I wasn’t surprised at all to see a glum and despondent Shah in the apex committee meeting with the army chief, which was held to impress upon him the need for, amongst other things, improvements in the functioning of the police department and to appoint police officers on merit. I know that he was upset because he had never thought that there would be resistance from any quarter to his ministers’ aims to further enrich themselves, nor to his power to appoint unqualified louts in the provincial police department. He thought that by exempting Sindh from NAB, people like Memon, Dr Asim Hussain, and former SBCA Director General Manzoor Qadir Kaka would now be immune from prosecution. Well, he is wrong, as he will soon find out when the proposed law is struck down by the courts. Get real, Mr Shah, the people who voted for your party are not ignorant. They can see that there has been no development at all in Sindh, when compared to the other provinces. They know that your party has failed them. You still have about a year to do something for the people of your province, Mr Shah. Stop thinking of protecting the corrupt, start accountability, get rid of those who are bent upon making themselves rich. Otherwise it will be too late, and the people will come out on the streets to remove your party from power, as they did in the times of Ayub Khan and Zulfikar Ali Bhutto.